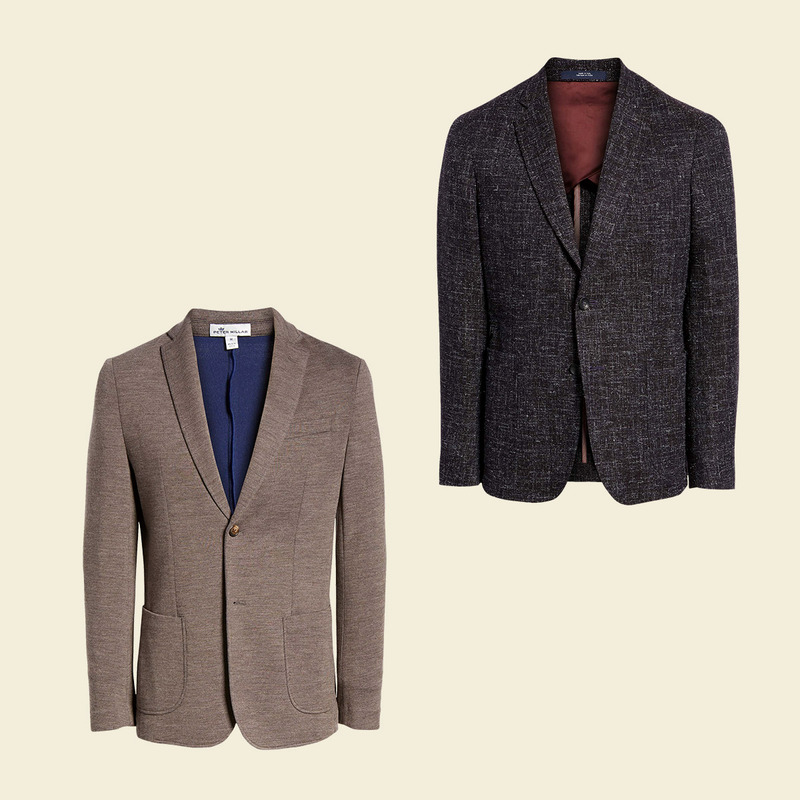 Fellas, if you don’t have a swacket in your wardrobe right now, you’re missing out on one of fall’s greatest staples. In case you're not versed on this particular must-have, let’s cover some basics. A swacket is a mix between a sweater and a jacket—get it?—and as fall's two essential layers merge, they become the best of both worlds. Mind blown? 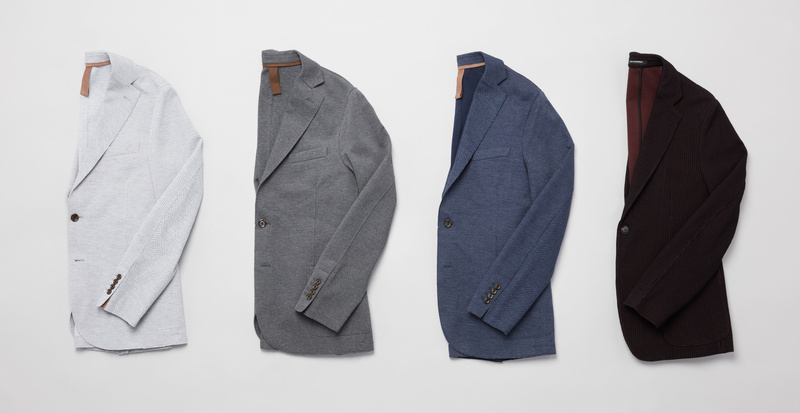 You see, a swacket gives off all the appearances of a sport coat or blazer, but without the traditional fabrication. It delivers on comfort, versatility, and convenience in a big way. From being a stylish piece for the office to a warm layer for weekend outings, this two-in-one gem is definitely worth snagging. You could argue that the effectiveness (and style factor) of a swacket starts with fabrication—and you know we’re all about quality textiles. These unique layers come in a range of fabrics and blends, from jersey to cotton to twill. This gives them give them a comfortable knitwear quality, complete with soft texture and a bit of stretch. (Read: you can move your shoulders and bend your elbows with ease.) For the milder fall regions, opt for lighter fibers that breathe. As the temperature drops, you’ll want to invest in a warmer option. The merging of two fall staples doubles this garment’s styling potential. That means swackets can literally go anywhere. An office dress code welcomes these dapper layers when paired with chinos and a button-down. For a date night, add one to your favorite jeans and T-shirt look. The combination of comfort and style mean you could even wear one on a plane, hop off looking totally polished, and head straight to dinner. You already know that a sharp sport coat is pre-approved for a more formal occasion, but here’s a twist: it’s actually okay to opt for comfort. 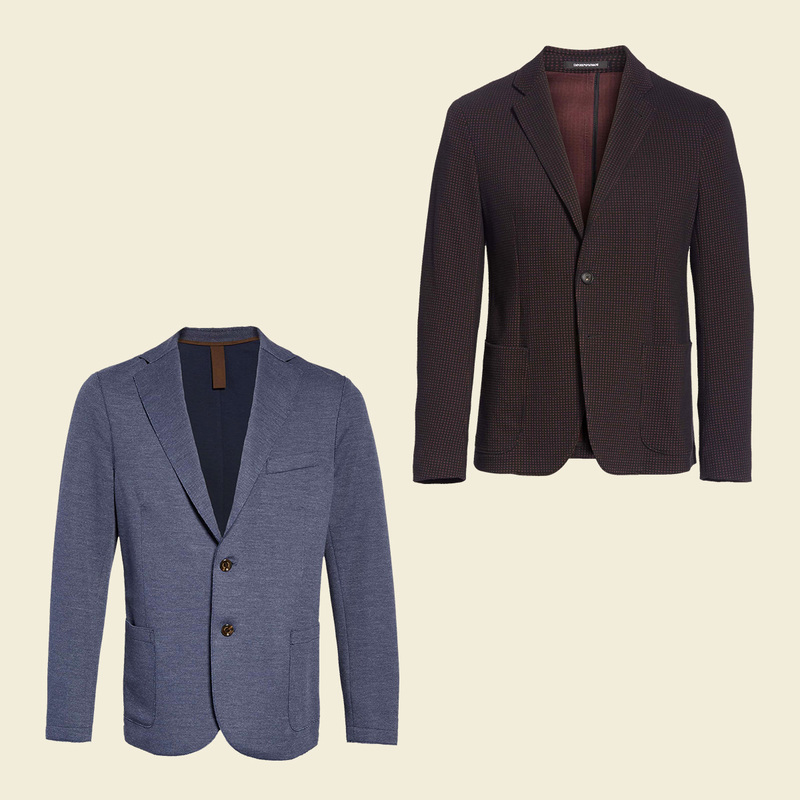 A swacket lets you elevate your look while still hanging onto the cozy feeling of wearing a sweater. Not normally a jacket-wearing kind of guy? Choosing a swacket on a casual day offers its own perks, like pocket storage for stashing your phone and keys. Bottom line? It’s a throw-on-and-go staple for everyday. We call that a win-win.